It’s hard to believe time is ticking down to the end of my maternity leave. At the end of November I’ll be back to work full time, and until then I’m working 1-2 days a week as ‘keep in touch’ days. And so we’ve had to address the issue that all working parents face – who is going to care for our beloved little ones whilst we’re at work? Whilst we’ve used nurseries in the past we’re lucky enough to have an awesome childminder for G, and I knew all along I wanted C to go to her when I went back to work. So over the past few weeks we’ve reached another milestone in C’s development – her first days with the childminder! 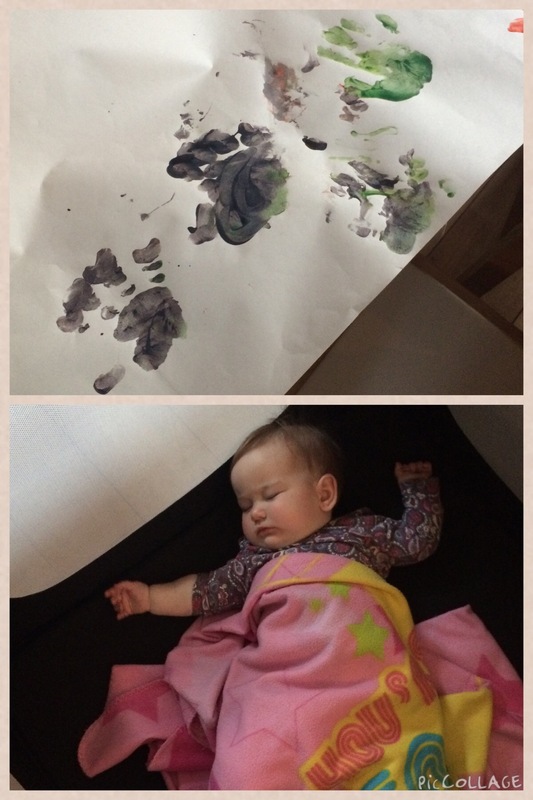 The picture shows the result of one of her first settling in sessions – her very first artwork and a baby fast asleep when I went to collect her, so despite her tears and protestations at me leaving she can’t have had too bad a time! And of course there were tears, but to be fair at the moment we get ‘are you leaving me forever?’ tears if I go to the toilet or just close the car door so I can walk round to the drivers side. There’s a big part of me that’s looking forward to going back to work, and my keep in touch days so far have reassured me that I do still have a brain, albeit one which hasn’t stretched its legs for a while. But at the same time I’m nervous of many aspects of it, not least the practicality of being a full time working mum and physically fitting everything into the week, particularly as C currently isn’t sleeping through at night. I guess I also had the idea that by having a year off on maternity leave, I would have seen lots of the ‘first’ milestones before going back to work. Yet C is still not crawling, let alone walking (lazybones! ), has no discernible words, hasn’t yet learnt to clap or point, and decided to use two of her settling in sessions to learn to wave and stand up (aided of course). Don’t get me wrong, I’m not in the slightest bit concerned about her development, I guess she just still feels like a little baby to me. I’ll miss seeing those little developments when I’m working full time, when five days out of the week disappear in a blur of getting everyone up, dressed, out; and home, bathed and to bed. But needs must, and I’m secure in my decision to go back to work full time being the best decision for our family. And I know both G and C will thrive and be happy with their childminder, as well as being glad they can play together before and after school. And the one thing that will definitely be happy about me going back to work will be our bank balance, that’s for sure. 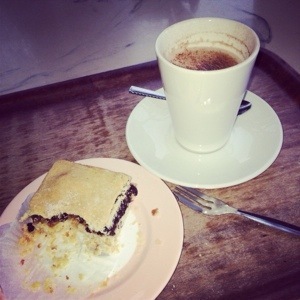 I’d love to hear how others have managed the return to work, especially any hints and tips on how to make the transition easier and to keep the week running smoothly!